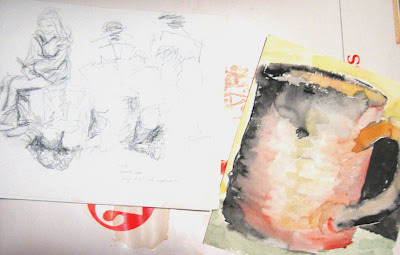 A loose drawing found in one of three (THREE!) giant drawing pads filled with art and vintage papers creates a backdrop for two beautiful diaries from the 1800's that I haven't had a chance to read yet. 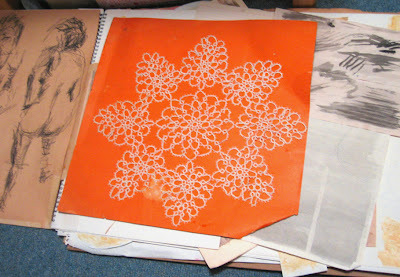 A glimpse inside one of the big drawing pads shows tons of loose artwork and this great handsewn lace piece mounted on orange cardboard. I didn't even mention the victorian picture frame, the vintage clothing, a photo album, handmade finger puppets, or many of the other old but wonderful treasures I found at this old house. This will be a hard sale to top! That journals and the sketchbooks too look amazing! 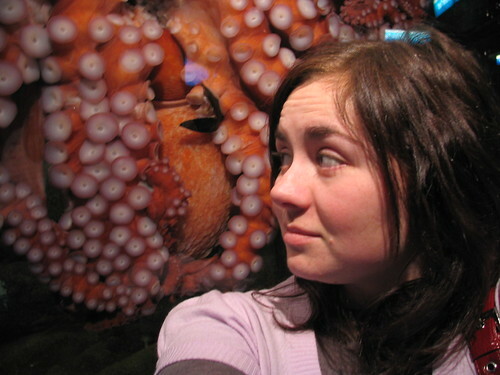 You could do a lot of things with them. 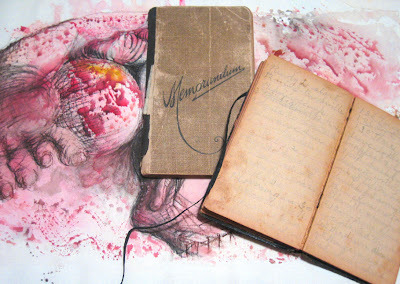 Such great finds!I'd love to know what's written in those journals, it's so mysterious! Yeah, I'm still so thrilled and won't let myself look at everything just yet...I want to look a little every day to keep the surprises coming. I might read a little in those diaries tonight! You should definitely check out an estate sale if you get a chance - they're so amazing, but also sort of creepy...usually you pick the clothes straight out of the old closets! what a great assortment of oddities to get. You'll have inspiration for days!